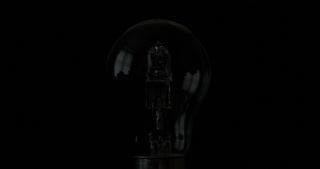 Search Results for "tungsten light"
Decorative glowing lamp bulb hanging on brick wall. Bright glowing light from vintage lamp on wall. 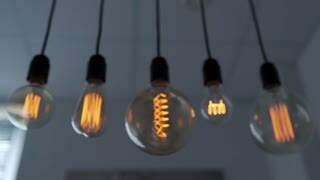 Retro tungsten lighting bulbs. Lighting design for cozy interior. Chandelier decor in dark room. Decorative lighting bulbs hanging on ceiling. 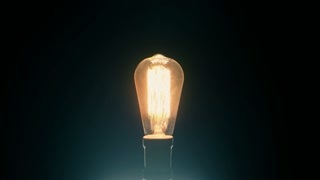 Bright glowing light from vintage bulbs lamp. 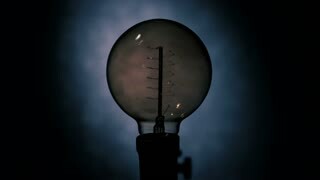 Antique tungsten light lamp on ceiling in dark room. Lighting interior design. Vintage chandelier decor. 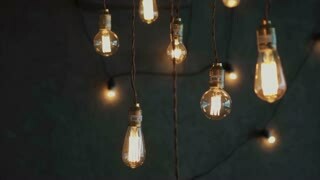 Decorative glowing bulbs hanging on ceiling in dark room. 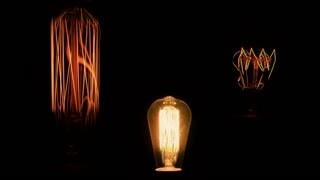 Lighting lamp from vintage bulbs in modern interior decor. Retro tungsten light bilb on room ceiling. Vintage chandelier decor. East River Ferry approaching the Williamsburg Station. New York. Camera following the head of a ferry. People on upper and lower deck. Tungsten light. Manhattan waterfront in the background. Corporate and industrial buildings. Sunset. Tilt shift. Vintage tungsten light flashes on and off while the glass of the bulb reflects the ethereal glow. Abstract macro shot, background image with copy space. Tortilla chips shot on dolly, and focused closely. Macro restaurant style tortilla chips under tungsten light. Vintage 8mm film movie camera and tungsten Fresnel light on pink background. Old clockwork motorized camera rotating close-up. Soviet Russian video camera made in USSR 1961-1970. Vintage 8mm film movie camera and tungsten Fresnel light on pink background. Old Soviet Russian camera with mechanical motor rotating. Close-up dolly shot. Vintage 8mm film movie camera and tungsten Fresnel light on pink background. Old clockwork motorized camera with triple lens turret rotating. Close-up. Vintage 8mm film movie camera and tungsten Fresnel light on pink background. Old clockwork motorized camera with triple lens turret rotating. Close-up dolly shot. MOSCOW, RUSSIA - CIRCA OCTOBER 2018: Vintage movie camera Ekran-4 8mm and tungsten Fresnel light on pink background. Old Soviet Russian film camera made in USSR by KOMZ 1967-1975. 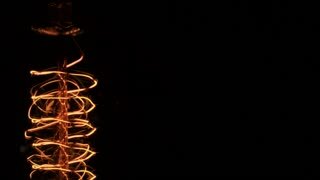 A light bulb with a tungsten filament lights up in the hands of a girl. Interior lighting from glowing lamp hanging on brick wall. 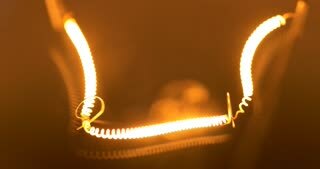 Bright glowing light from incandescent lamp on wall. Vintage tungsten light bulbs in room. Lighting interior design. Retro chandelier decor. Decorative lighting and glowing lamp on ceiling. Bright glowing light from incandescent lamp. Antique tungsten light bulbs hanging on ceiling. Lighting interior design. Vintage chandelier decor. Old Vintage Lighting In The Dark Room. Clip. Vintage light bulb. Decorative antique edison style light tungsten bulbs against brick wall background. Close-up. Switch on and off an exterior lamp on wall by night. Close-up on old fashioned light. Front view on black metal and glass light. 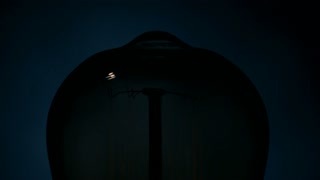 Tungsten bulb.